It’s an annual ritual. As soon as we’re on the other side of Easter, and as plans for summer vacation looms, I break out the big guns. No, not the ice cooler and sun umbrella and picnic basket. 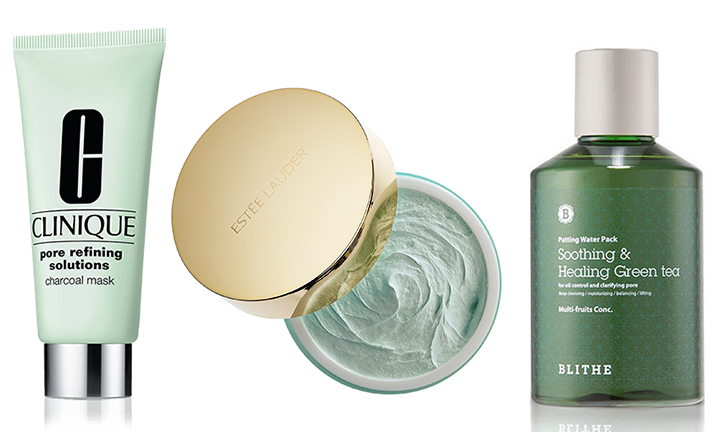 No, I have a different type of summertime arsenal at the ready: my oil-control skin care. So I’ll start with something gentle and SLS-free, like ClarityMD Deep Pore Cleanser, which has 1% salicylic acid — key in penetrating clogged pores — as well as the antioxidant bakuchiol and skin-soothing chamomile. Murad Time Release Acne Cleanser features encapsulated salicylic acid, which continues working even after you rinse it off and slowly releases the oil-penetrating ingredient for up to eight hours, while amino acids and hyaluronic acid keep skin hydrated. 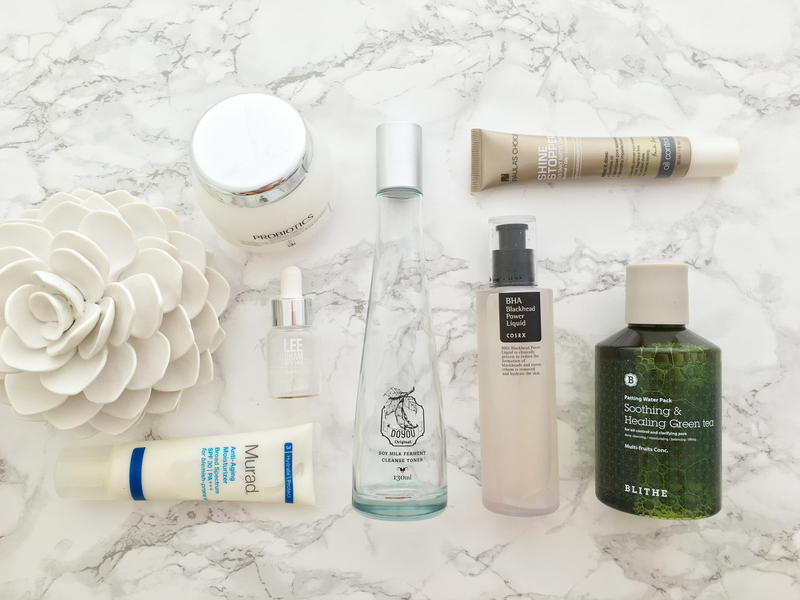 The serum or essence step is the most important in my skin care regimen, so I multi-treat, loading up and layering on different treatments, depending on my skin care needs. I’ll start with LJH Vita Propolis Ampoule, which contains 50% propolis extract. Propolis is one of my go-to ways to fight acne — the powerhouse ingredient is an antibacterial, antiviral, anti-fungal, anti-inflammatory and antioxidant. I’ll then layer on a serum with salicylic acid or tea tree extract, like CosRx BHA Blackhead Power Liquid, to my T-zone regimen. It’s got a double dose of salicylic acid in the form of willow bark water and betaine salicylate (no water in this formula, so no dilution). Its short ingredient list also features niacinamide and hyaluronic acid, so it’s not too harsh on my aging skin. It’s a simple, clean, liquid treatment that I pat onto my T-zone — no harsh smell (no smell of any kind, actually), no stinging, no fuss. While I can’t say that my blackheads have been eliminated completely, they do look smaller, so that’s already a plus. 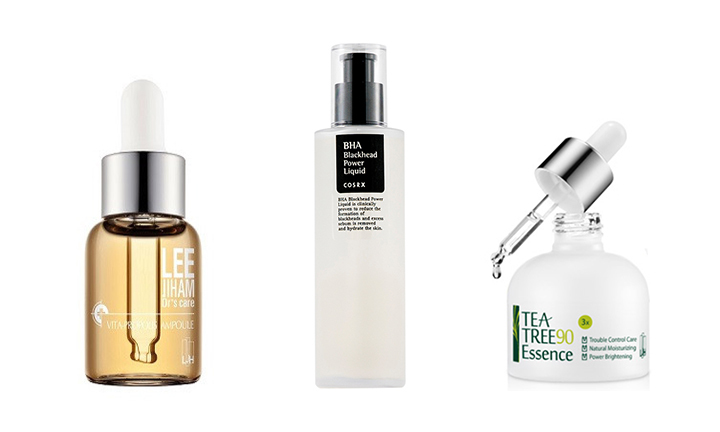 One essence I’m eager to try is LJH Tea Tree 90 Essence, which contains 90% tea tree extract, as well as moisture-binding trehalose, because, again, you want to ensure that your skin is properly hydrated while you combat oiliness. I’ve heard great things about it in the blogosphere, and while I don’t know that it will necessarily eradicate my oil issues, it does seem like it will help minimize the length and severity of my oily T-zone’s BFF, hormonal cystic acne. Which brings me to hydration. I’ve always had difficulty finding the right moisturizer for my oily T-zone. I want to make sure I’m not dehydrating my skin, but I don’t want to add to the greasy mess I’ll inevitably have by mid-morning, either. Enter Murad Anti-Aging Moisturizer Broad Spectrum SPF 30. This lightweight moisturizer is made for people like me who have the misfortune of suffering from wrinkles and acne. It’s got an “oil control complex,” including tea tree oil, to minimize oil and help prevent acne, while anti-aging ingredients like kombucha and humectants trehalose and hyaluronic acid help hydrate and neutralize free radicals. The best part of this lotion is its semi-mattifying finish, which is a huge plus when your mul-gwang starts to look more like mul-grease. Another genius product is Paula’s Choice Shine Stopper Instant Matte. It’s not a hydrator but a treatment you dab onto your oily spots as the last step in your skin care regimen. (I use it after sunscreen.) Now, I’ve tried a ton of purported oil control primers and mattifiers, and most of the time, I find them to be merely silicone-heavy agents (think of the recent slew of “blur” products on the market) that not only make my foundation pill but only provide a momentary matte “look” without really controlling the oil. The Shine Stopper is different. It’s only got a little bit of dimethicone in its ingredient list, and it doesn’t have that icky, overly-slippery feel. My foundation doesn’t pill over this and while I’ve accepted that nothing is going to completely eradicated my hyperactive T-zone oil glands, this is the best I’ve found so far to keeping the oil to a palatable level. In addition to daily maintenance, I’ll up my mask game in the summertime to at least once a week. A clay mask is a must, which does an excellent job of clearing out my pores and balancing sebum production — I’m noticeably less oily for at least a couple days after I mask. Clinique Pore Refining Solutions Charcoal Mask, with charcoal powder and mineral clay, does a great job of sopping up oil and tightening pores, and I love Estée Lauder Clear Difference Purifying Exfoliating Mask, which has soft clay and salicylic acid to fight oil and blemishes. Adapted from a story originally published on Glow Recipe.